Low water in the river IJssel near Wilp, one fault and ship is on the ground. Ships can therefore take less freight with them. 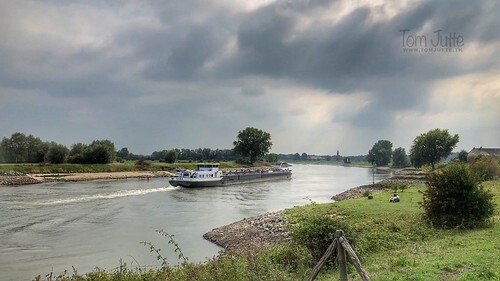 In some parts of the IJssel a catch-up ban has been introduced for ships. In the months of May, June and July 2018 it was extremely dry in the Netherlands, as a result of which the water level in the rivers was also extremely low. Fortunately, it rains again in September, but it must be rained for at least a month in a row to solve the drought. ☛ Please see here more from; the Netherlands.